Lancet report says 80 lakh lives could be saved in the next 30 years if the government actively engages with private healthcare providers. 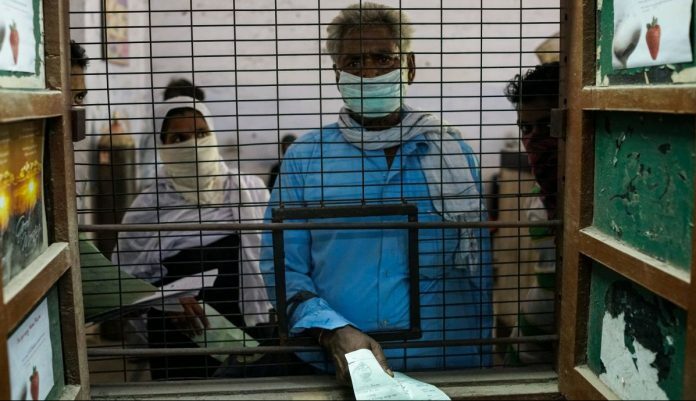 New Delhi: India suffers an economic loss of $32 billion, or over Rs 2 lakh crore, every year due to tuberculosis-related deaths, says a report in The Lancet. The report has calculated the economic loss as a total of the loss in productivity of the infected individuals and their families among others. TB is a communicable disease caused by a bacterial infection in the lungs. India is the worst affected in the world — the disease had claimed 4.21 lakh lives in the country in 2017. The Lancet report states that 80 lakh lives could be saved in the next 30 years if the government actively engages with private healthcare providers, including hospitals, diagnostic centres and drug makers, in the country. “By subsidising tests and supporting patients to complete treatment in India — the country with the highest TB burden and predominantly private health care — more than one-quarter, around 28 per cent of TB deaths, could be averted over the next three decades,” says the report published ahead of World TB Day (24 March). The report pegs the cost of subsiding treatment in the private sector at an extra $290 million (Rs 2,000 crore) each year but adds that it is significantly lesser than the estimated annual loss of $32 billion (Rs 2.20 lakh crore) associated with TB mortality. The report also states that India has been performing poorly on 11 parameters that the journal has designed to determine a country’s efforts in tackling the problem. Some of the parameters include the United Nations’ diagnosis and treatment targets, universal health coverage and addressing multi-sectoral drivers of TB. The report states that on three of the parameters, India has been “approaching its target” whereas on seven of them, it “needs improvement”. Where it does score ‘high’ is the political commitment to eradicate the disease. Lauding the efforts of India’s administrators, The Lancet report has said that the country has shown high political will towards the elimination of tuberculosis. Of the 10 countries with the highest tuberculosis mortality burden, only India, South Africa and Kenya have demonstrated ‘high’ political commitment to eradicate the disease. Last March, Prime Minister Narendra Modi had announced the deadline to eliminate TB would be 2025 — five years ahead of the global target set by UN Sustainable Development Goals. India has also increased funding to combat the disease by over 300 per cent in the last three years. From Rs 640 crore in 2016-17 fiscal, funding has increased to Rs 2,840 crore in 2018-19. The other countries, including Pakistan, Bangladesh, Congo, Tanzania, Indonesia and Mozambique, have been ranked ‘low’ or ‘moderate’ in terms of political commitment. In response to the journal’s findings, Union Health Minister J.P. Nadda has said that the way ahead is ensuring effective vaccination, an accurate diagnosis eco-system and effective person-centred treatment. “With at least 30 per cent of India’s population infected with tuberculosis, we need accurate point-of-care diagnostics for detecting tuberculosis infection and effective person-centred treatment,” the report quotes the minister as having said. “We need an effective vaccine to prevent tuberculosis. “To end tuberculosis, governments of high-burden countries will need to propose bold plans to address tuberculosis rather than be content with moderate incremental gains,” he has added.